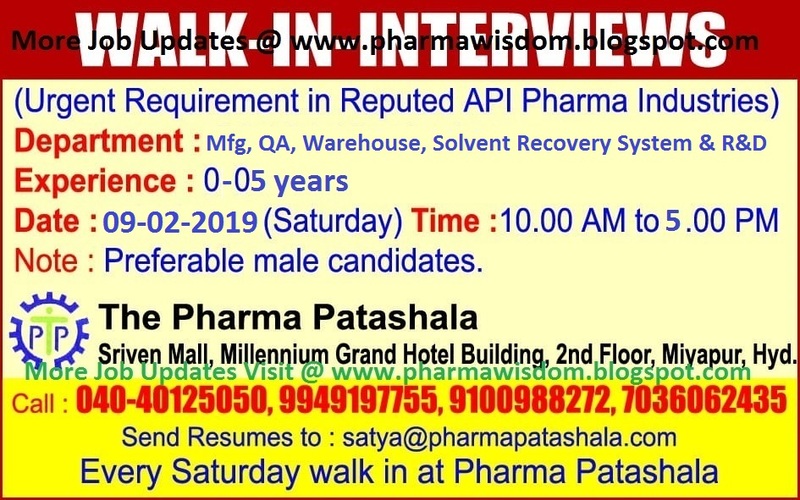 This Saturday (09/02/2019) conducting interviews at Pharma Patashala for multiple positions for preferably male candidates only. 2 to 5 years in relavant exp. 0 to 2 yrs in relavant exp.